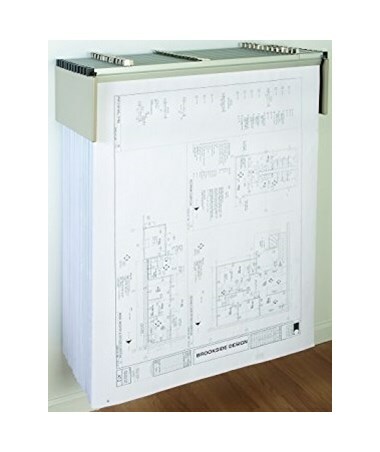 The Mayline Hanging File Wall Rack Only provides easily accessible storage for blueprints, maps, and other large papers. Its 8-inch tall brackets of this steel wall-mounted rack extend out 15-inch from the wall. 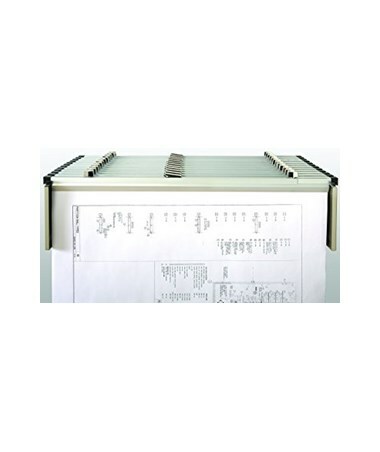 It is made of sturdy steel designed to support both ends of the paper clamp. This hanging rack can fit up to 12 clamps that can be easily lifted out or dropped in. Hanging paper clamps are sold separately. 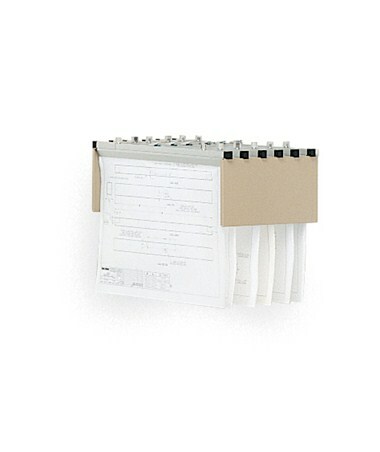 The Mayline Hanging File Wall Rack has a bracket dimension of 15 x 8 inches. Once this hanging file rack is fixed to the wall, it can only fit one size clamp. Plus, it is easy to assemble and comes with a limited lifetime warranty. 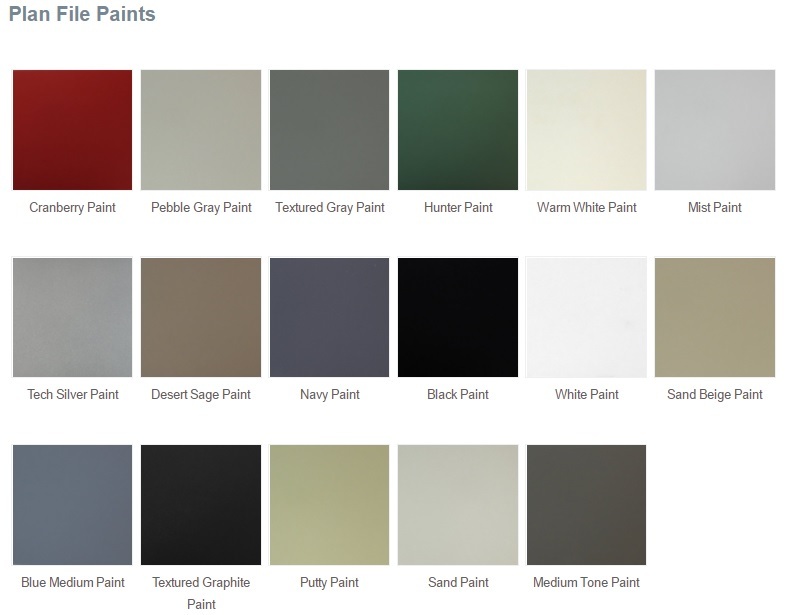 In addition, it comes in several colors.